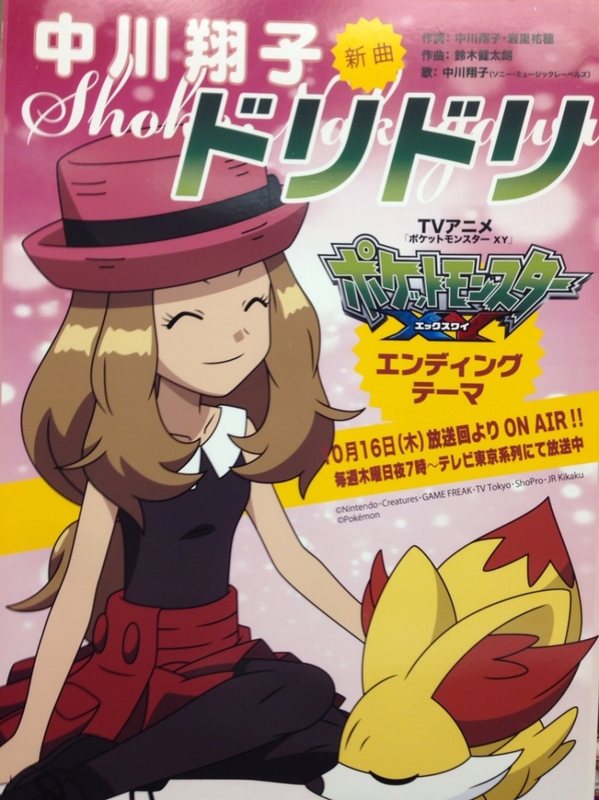 Discussion in 'Pokémon Anime' started by May, Sep 26, 2014. The japanese Singer/voice actress Shoko Nakagawa announced that she will perform the new ending song of Pokémon called "Doridori". The new ending will start with the episode airing October 16 (セレナ、初ゲット！？ヤンチャムVSフォッコ！！ Serena's First Capture!? Pancham VS Fennekin!!). The song is based on Serena and Shoko Nakagawa wrote the lyrics together with Yuho Iwasato while Kentaro Suzuki composed the music. Before the tv broadcast, Shoko Nakagawa will perform the song during her tour "Donyoku Kakumei" on October 12 and 13 at Tokyo's Zepp Diver City venue.